Planning a winter wedding will be a magical experience and you can have so much fun experimenting with decor ideas, foods and colour schemes for this magical season. 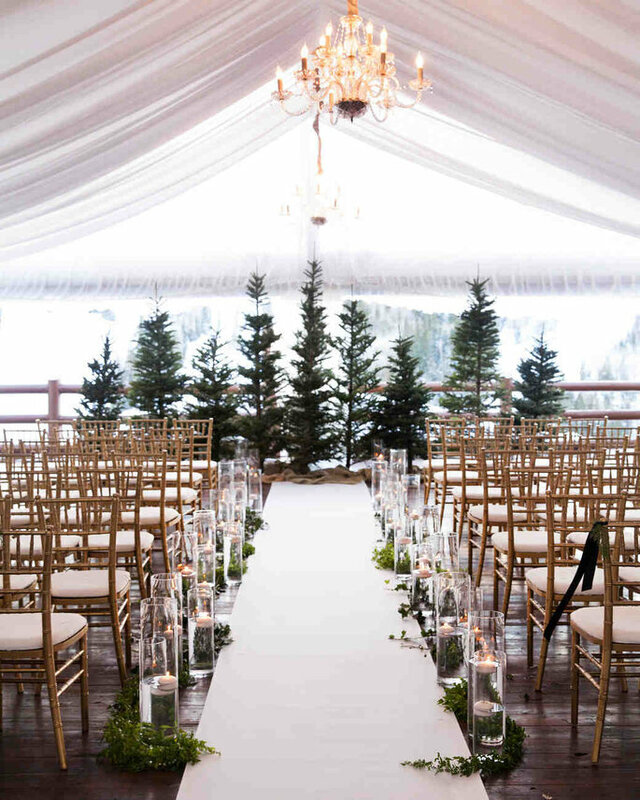 But when you are planning a winter wedding there are a few things you need to consider that couples planning weddings in the spring and summer won’t need to plan. 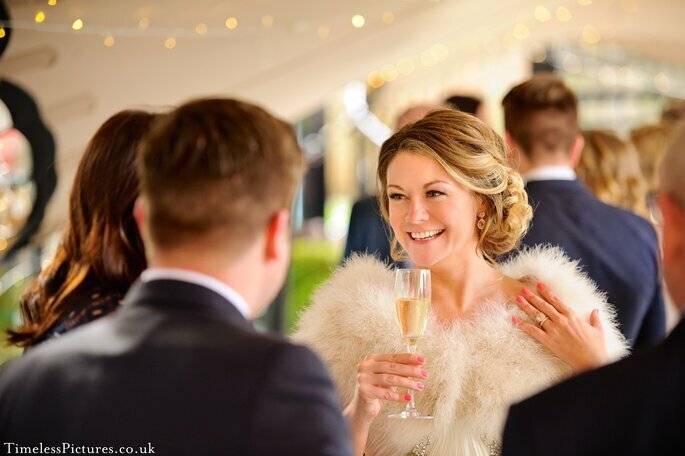 Amy Braund, Wedding and Events Manager at The Bingham shares some of the crucial information that every winter wedding couple needs to know. Read on and discover her tips! The Met Office has predicted heavy snowfall this winter, so if you’re thinking about beautiful outdoor photos, make sure you are equally as happy with your indoor photography options. Your wedding photographer and your wedding venue will be able to advise you on the best spots so you won’t be caught off-guard on the day. Heavy snowfall could also impact travel conditions so you may want to offer your bridal party the opportunity to stay at the venue the night before the big day so there is no concern over heavy traffic the morning of the wedding. The Bingham offers 15 beautifully decorated rooms so there is plenty of space for you and your guests! One of the most exciting part about planning a winter wedding is being able have fun with a comforting winter menu. The chefs at the Bingham will help you to create a beautiful winter wedding menu, including winter petit fours and a delicious Christmas inspired wedding breakfast. You can also have fun with your arrival drinks – it’s one of the first things your guests will see of your wedding and will be a perfect way to set the tone of your winter wedding. Choose from creamy eggnog, warm apple cider or aromatic mulled wine. Then don’t forget to serve some beautiful festive canapés, the Bingham have created some delicious options tailored specifically to winter weddings. 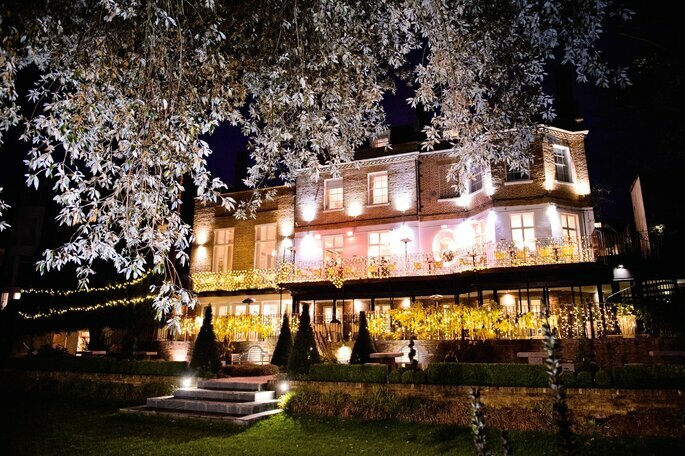 Most venues will have their own stunning Christmas decorations – and the Bingham is no exception. 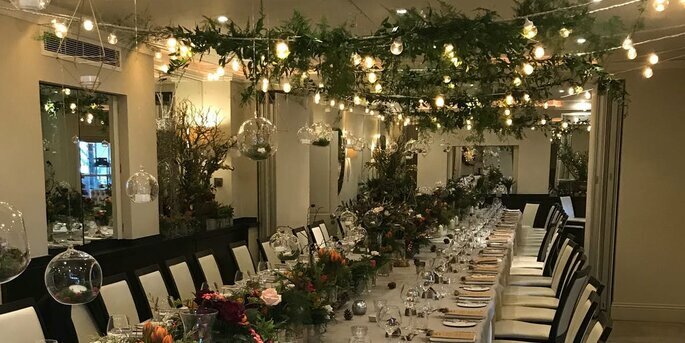 Ask your wedding venue how they decorate at Christmas time, it’s likely they will have a stunning Christmas tree, twinkling fairy lights and other decorations and you can use this as part of your own wedding decor. If you want to add even more Christmas style to your wedding venue then you will find plenty of ideas in the shops – and you will be feeling thankful that the high street starts stocking Christmas decorations so early! Think vases of baubles, twinkling lights and plenty of sparkle! It’s not just the decor that will be easy to find, you can have so much fun with your wedding favours. Our personal favourite is selection boxes for every guest! What could be more perfect for your winter wedding than mixing Christmas songs into your playlist? Ask your DJ to include some of your festive favourites that are sure to get everyone dancing. Christmas and New Year are such a happy time of year that celebrate family, friends and coming together. That warm glowy feeling you get at Christmas will spill over into your wedding and make everything feel extra special. By celebrating your winter wedding at the Bingham you will be able to take advantage of the magical winter wedding package. On arrival guests will be treated to a festive drink – including mulled wine, eggnog, or warm apple cider, followed by delicious festive canapes. Followed on with a three course wedding breakfast with winter-inspired petit fours and finished with hot chocolate and marshmallows, tea and coffee. Guests also receive half a bottle of wine and a glass of champagne for the toast. 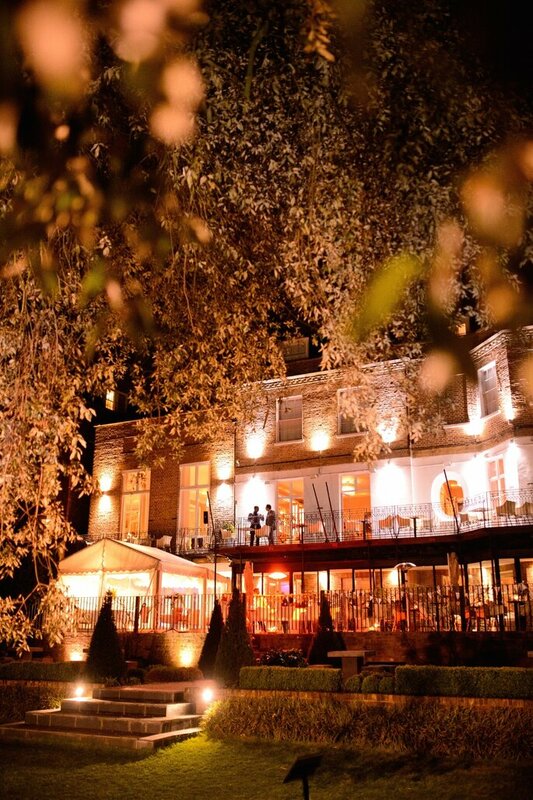 There are also a host of extras to make your day even more memorable, including use of the Bingham’s master of ceremonies and wedding planner, place cards, menus and a table plan and exclusive use of the garden rooms, terrace and gardens. 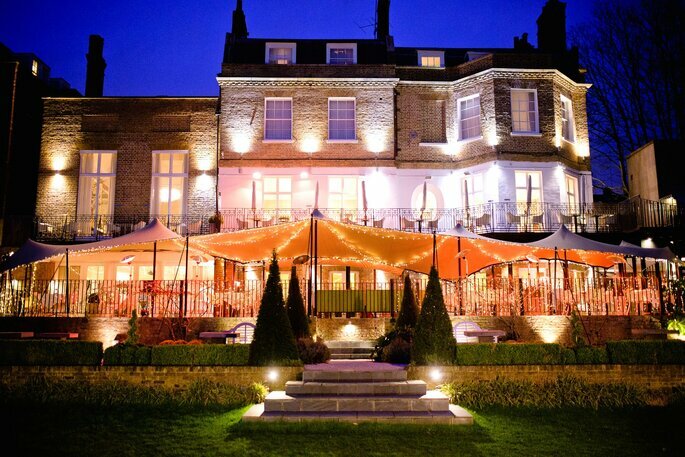 And best of all, the terrace canopy and garden room ceilings will also be covered with twinkling fairy lights to add to the festive feel!